God’s Father, Son, and Holy Spirit are the sacred trinity of the Christian faith, encouraging artists to carve this extraordinary panel. Vivid faces express concern for their followers. 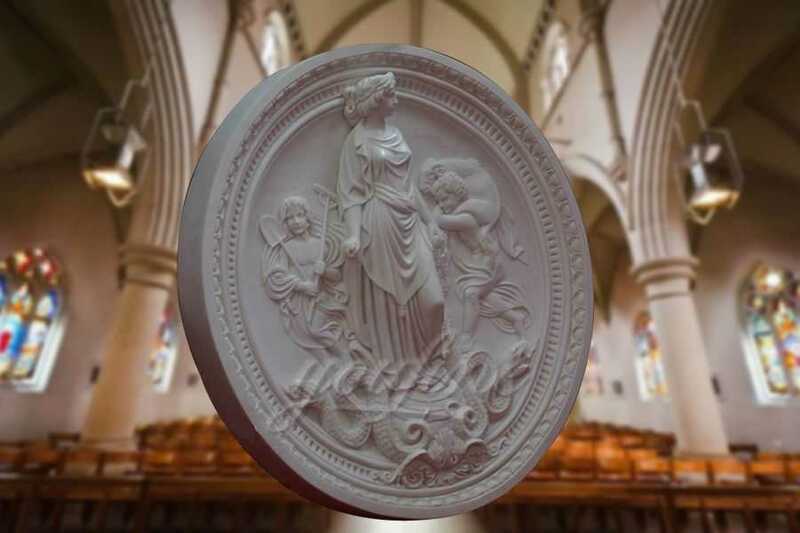 Each sacred Trinity marble relief sculpture is an opportunity to express our deep relationship with the Catholic faith. 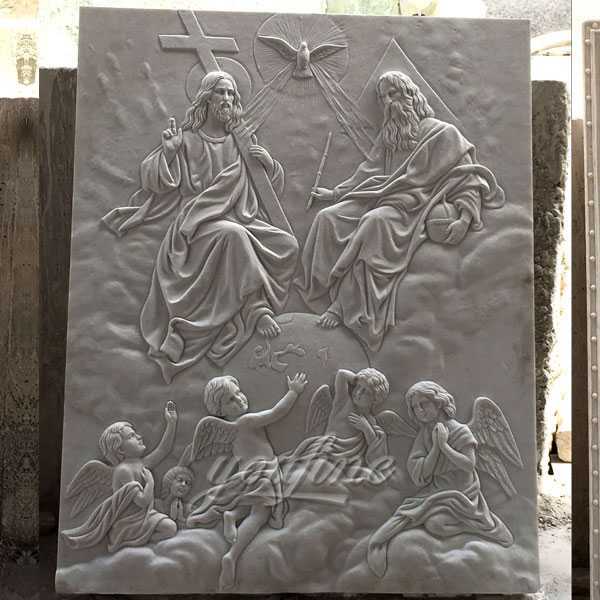 This Holy Trinity marble relief sculpture was made from a image for Carlos from Costa Rica in the end of 2016 as church interior wall decor.Marble is very popular as a sculpture material for religious subjects. 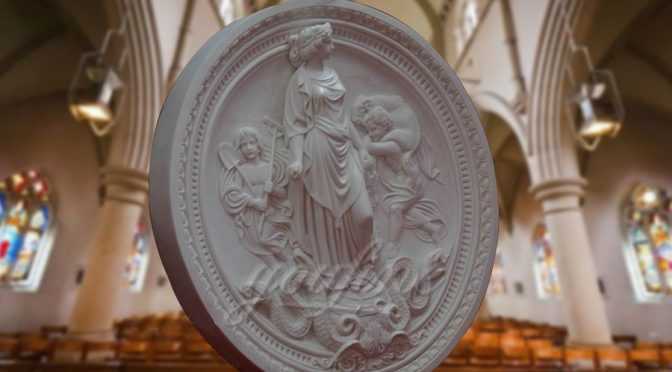 Artists are known for their dexterity in marble sculpture. 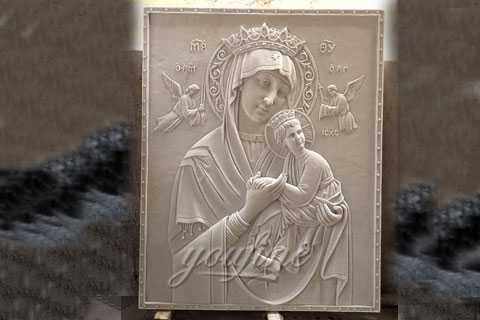 This Holy Trinity marble relief sculpture is a masterpiece of composition and craftsmanship. 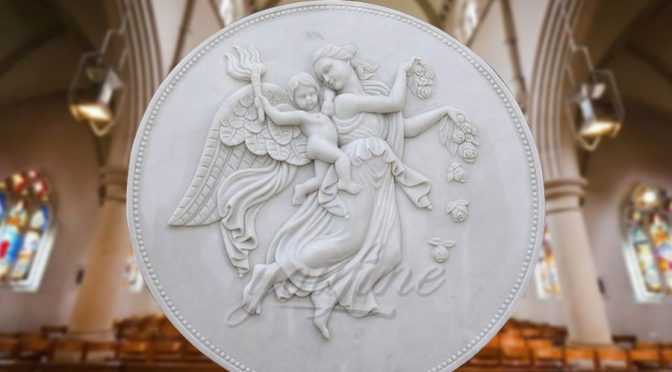 This represents the marble relief sculpture of the Holy Trinity was made in Quyang, China. It is known as the hometown of Chinese sculpture. Size: H: D: 80″ or Customized Size. Package&shipping: Strong Wooden Case,By sea shipping,any special requirement,pls inform us. Size: D: 80″ or Customized Size. 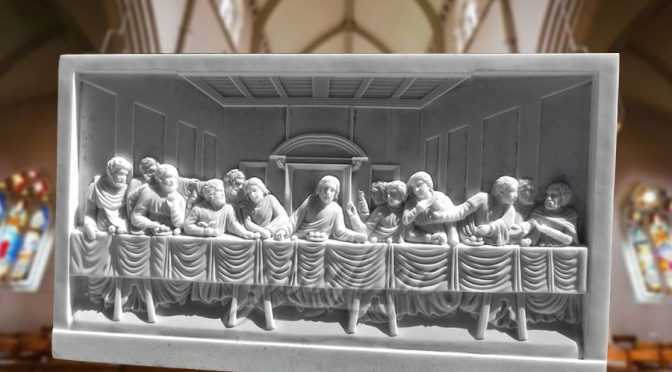 In the Christian faith, the Last Supper was the last meal Jesus shared with his apostles before his death. 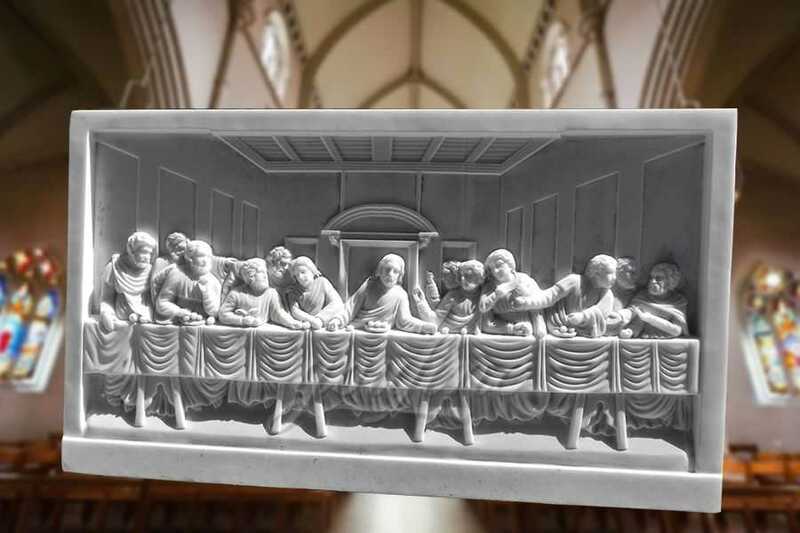 The Last Supper has been the subject of many paintings, perhaps the most famous of Leonardo da Vinci’s works.The Last Supper Decorative Marble Relief Sculpture is a very large and very heavy hand carved marble sculpture. Size: H: 40″ L: 74″ or Customized Size.